Join the curator of Chinese Landscape Rethought, Dr. Yibing Huang, as he discusses the rich tradition of Chinese landscape art and offers an in-depth examination of the prominent contemporary Chinese artists featured in the exhibition. Dr. Yibing Huang is the Associate Professor of Chinese and Curator of the Chu-Griffis Asian Art Collection at Connecticut College. Huang’s research interests cover a broad range, including modern and contemporary Chinese literature, cinema and popular culture, comparative studies of modernism and postmodernism in China and in the West, and cultural translations between Chinese poetry and modern American poetry. Huang studied at Beijing University from 1983 to 1993, receiving his B.A., M.A. and Ph.D. in Chinese Literature. During the same decade he also quickly established himself as a poet under the penname “Mai Mang,” and was closely associated with a new generation of young poets who were based in Beijing. He moved to the U.S. in 1993 and holds a second Ph.D. in Comparative Literature from the University of California, Los Angeles. Huang has an impressive record of publications and conference presentations in both China and the U.S. 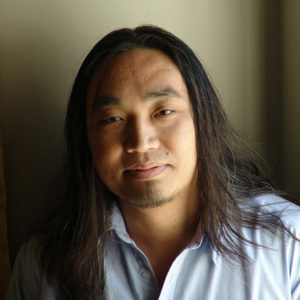 In addition to his work in Chinese language and literature, Huang’s poetry has been published in China since the 1980’s, and is included in many prestigious anthologies. 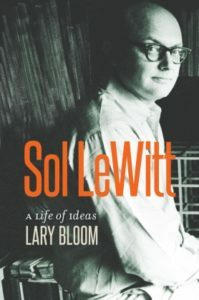 Lyman Allyn Art Museum and Bank Square Books present an author talk and book signing with Lary Bloom, author of Sol LeWitt: A Life of Ideas. Lary will read from his newest book and discuss his personal recollections of LeWitt, whom he knew in the last years of the artist’s life. Sol LeWitt (1928-2007), one of the most influential artists of the twentieth century, upended traditional practices of how art is made and marketed. A key figure in minimalism and conceptualism, he proclaimed that the work of the mind is much more important than that of the hand. For his site-specific work—wall drawings and sculpture in dozens of countries—he created the idea and basic plan and then hired young artists to install the pieces. Though typically enormous and intricate, the physical works held no value. The worth was in the pieces of paper that certified and described them. LeWitt championed and financially supported colleagues, including women artists brushed aside by the bullies of a male-dominated profession. Yet the man himself has remained an enigma, as he refused to participate in the culture of celebrity. Lary Bloom’s book draws on personal recollections of LeWitt, whom he knew in the last years of the artist’s life, as well as LeWitt’s letters and papers and over one hundred original interviews with his friends and colleagues, including Chuck Close, Ingrid Sischy, Philip Glass, Adrian Piper, Jan Dibbets, and Carl Andre. This absorbing chronicle brings new information to our understanding of this important artist, linking the extraordinary arc of his life to his iconic work. Includes 28 illustrations. His books include the biography, Sol LeWitt: A Life of Ideas, The Writer Within, Letters From Nuremberg (with Christopher J. Dodd), Lary Bloom’s Connecticut Notebook, The Test of Our Times (with Tom Ridge), and The Ignorant Maestro (with Itay Talgam). He has been a columnist for the New York Times, Connecticut magazine, the Hartford Courant, and the Miami Herald. 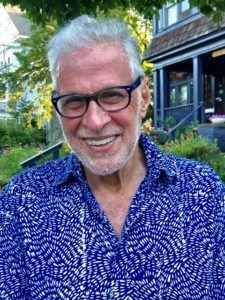 He teaches memoir in Yale University’s summer workshop, and has taught in Fairfield University’s MFA program, Wesleyan University’s graduate program, and at Trinity College. As a freelance editor, he brought many books to publication. During 30 years as a magazine editor and columnist, he published hundreds of personal essays by prominent and unknown writers. Among his discoveries: the Pulitzer Prize winners Dave Barry and Madeleine Blais, and best-selling novelist Wally Lamb. He is cofounder of Writing at the Mark Twain House, the Sunken Garden Poetry Festival and a writing retreat in Italy. His plays include Worth Avenue, Wild Black Yonder and A Woman of a Certain Age (lyricist). He is the recipient of the Lifetime Achievement Award from the Connecticut Center for the Book.